Candid Sky Productions gets authorization to fly in controlled class C airspace of Reno Nevada. 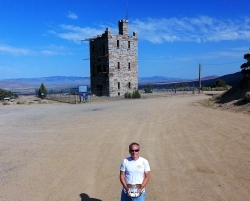 Reno, NV, February 02, 2018 --(PR.com)-- Candid Sky Productions, a drone service provider in Northern Nevada specializing in aerial photography for real estate, mine sites, agriculture, mineral prospecting and cinematography services, has received permission to fly Unmanned Aircraft Systems (UAS) otherwise known as drones in the controlled class C airspace in and around Reno Nevada. "It’s been a long road to get to this point and thrilling to have proper authorization in the KRNO airspace," says John McGrath owner and chief pilot of Candid Sky Productions since its inception in 2011. Showing clients and the public what good things drones can do in the business they conduct is key. With 30 plus years of experience in small unmanned aircraft, internationally published photographer, formerly director and producer of aviation event DVDs. They are excited to have Northern Nevada as a home and playground. Candid Sky Productions has other wide area authorizations approved for Miami and Fort Lauderdale, Florida and is waiting for other waivers in the local Northern Nevada markets where they need to fly in controlled airspace. Furthermore, they hold a waiver for night flight in certain airspace that is not controlled. Candid Sky Productions are certified part 107 pilots to fly commercially and are insured. Also keeping up to date on flight training to keep safe and skills current is utmost importance. "Experience is rare in this young industry," stated John McGrath, "and that is what keeps them ahead of the rest." Furthermore, Candid wants to be a part of the community, a leader in the industry and provide a pathway for younger more inexperienced pilots to enter this field by providing flight training to those that are interested in becoming a professional drone pilot. The commercial drone industry is still a baby, and Candid Sky Productions want to grow and mold it to be a robust market for all involved.